This one is quite simple. 🤓It's a one-click authorization and you're done. No developers needed. For pricing, see this article. Go to our sign up forms, fill out those details and approve us on Intercom. PS. 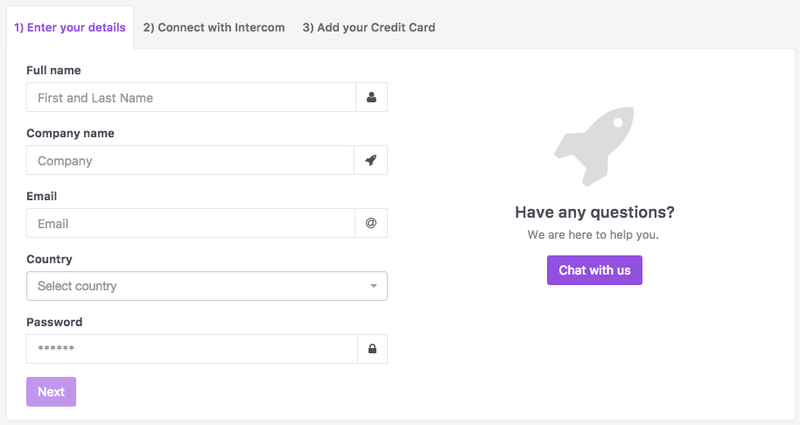 Be sure to select the correct app on Intercom (see that top right dropdown, that's were you select the app you want to connect with). 4. That's it, after this we start processing and let you know when it's done.